Grid can be found in two different variants. 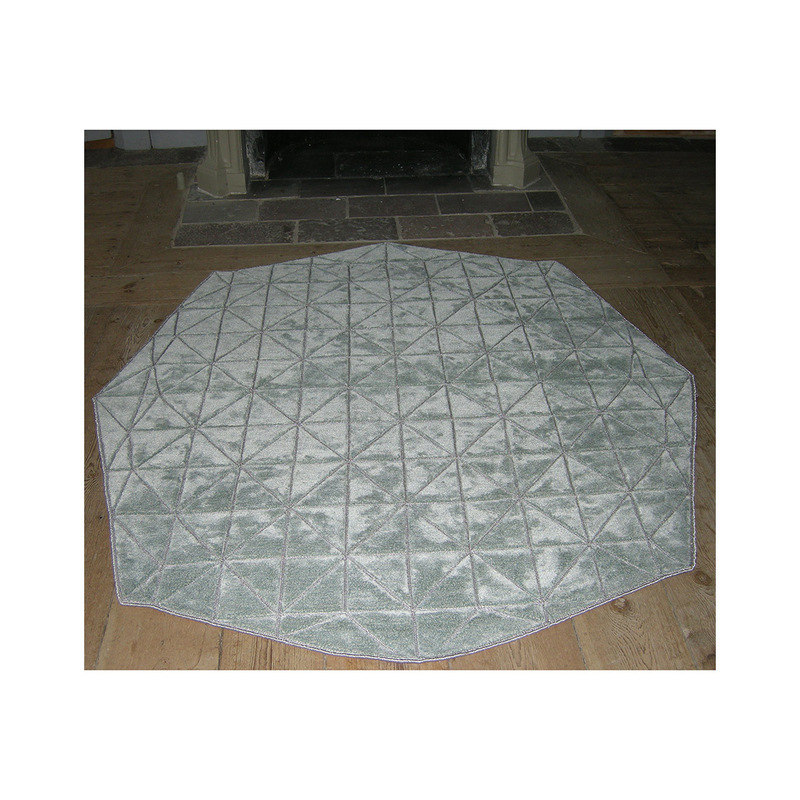 Grid AQUA is an octagonal rug in 100% bamboo silk with lines embroidered in lurex silver. 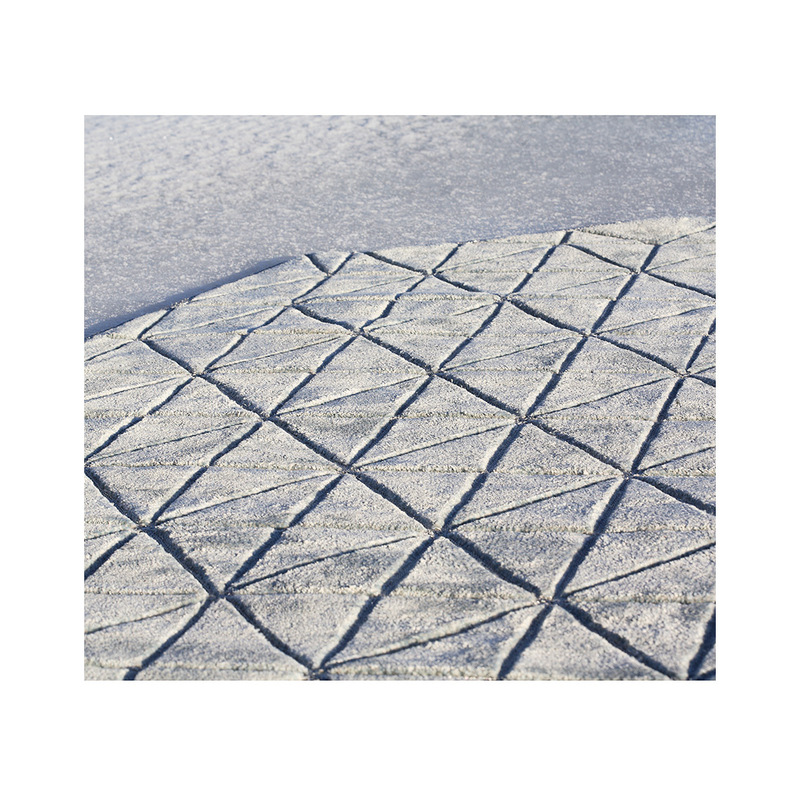 Grid MUSTARD is a rectangular rug in wool and bamboo silk. The different sections are formed by the triangles in different materials. The lines are tufted in bamboo silk. Grid is part of the Unique collection.